The siblings of children with special needs are often the overlooked ones in families struggling to cope. Kate Strohm is an experienced health professional and journalist who has sister with cerebral palsy. In this book she shares the story of her journey from confusion and distress to understanding and acceptance. She provides a forum for other siblings to describe their own journeys. 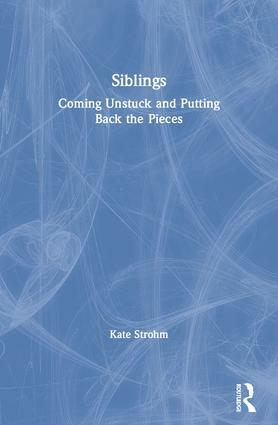 Kate also provides strategies that siblings themselves, parents and practitioner can use to support the brothers and sisters of children with special.